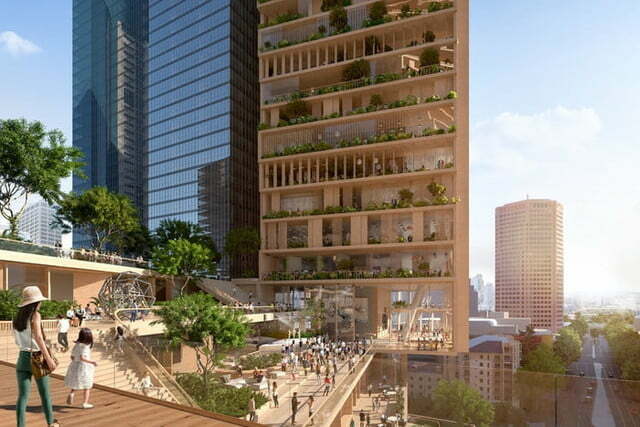 A spectacular twisting structure bedecked with trees and plants is on course to become Australia’s tallest building. 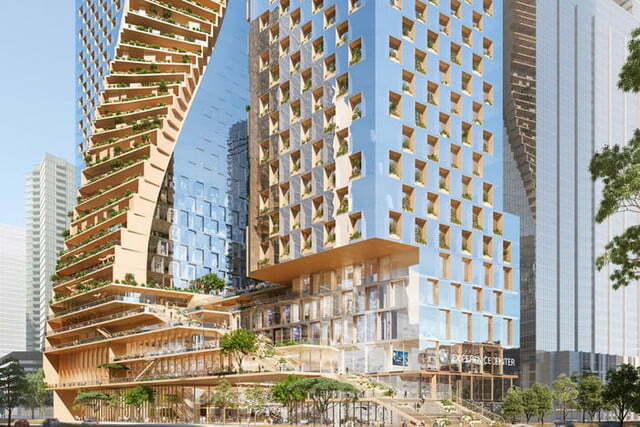 The so-called “Green Spine” was recently announced as the winner of an international design competition organized by property developer Beulah International, which hopes to build the 356-meter-tall structure in the center of Melbourne. 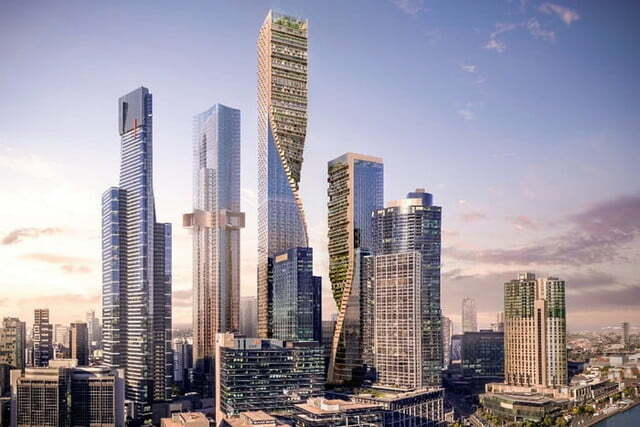 So long as it secures the necessary planning permission, the Green Spine, the brainchild of Dutch company UNStudio and Australia’s Cox Architecture, will become the focus of Melbourne’s skyline in the early 2020s. 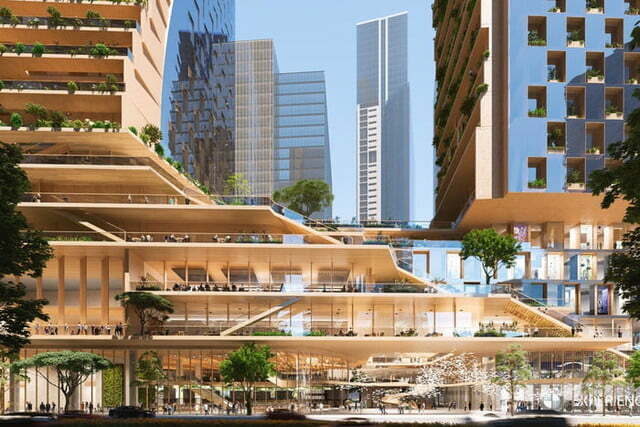 The striking design features a glass facade and twisting cascades of greenery among two towers rising above Melbourne’s Southbank neighborhood, located just across from the city’s Central Business District and Royal Botanic Gardens. The winning proposal, which was selected last week by a panel of seven judges, beat six other shortlisted designs that included entries from other major architecture firms, among them Bjarke Ingels Group and OMA. Beulah International executive director Adelene Teh praised the winning effort for its bold yet thoroughly considered efforts. “At the macro scale, the two-tower silhouettes with twisting forms provide a new, site responsive and elegant visual beacon in the precinct,” Teh said. Australia’s current tallest building is the Gold Coast’s Q1, which stands at 322 meters. 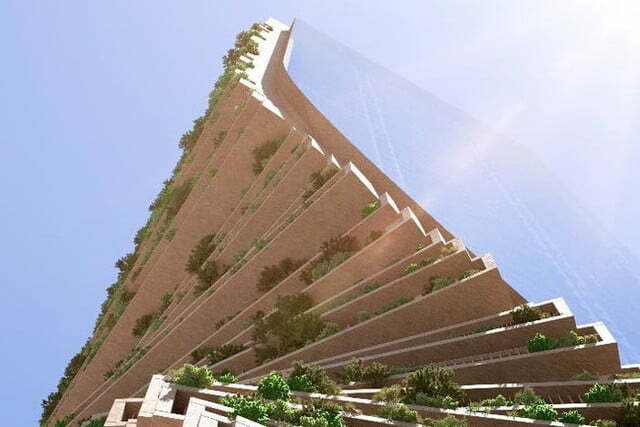 The Green Spine, should the building work go ahead, will rise 24 meters higher. As a comparison, the Empire State Building stands at 381 meters (443 meters to the tip).